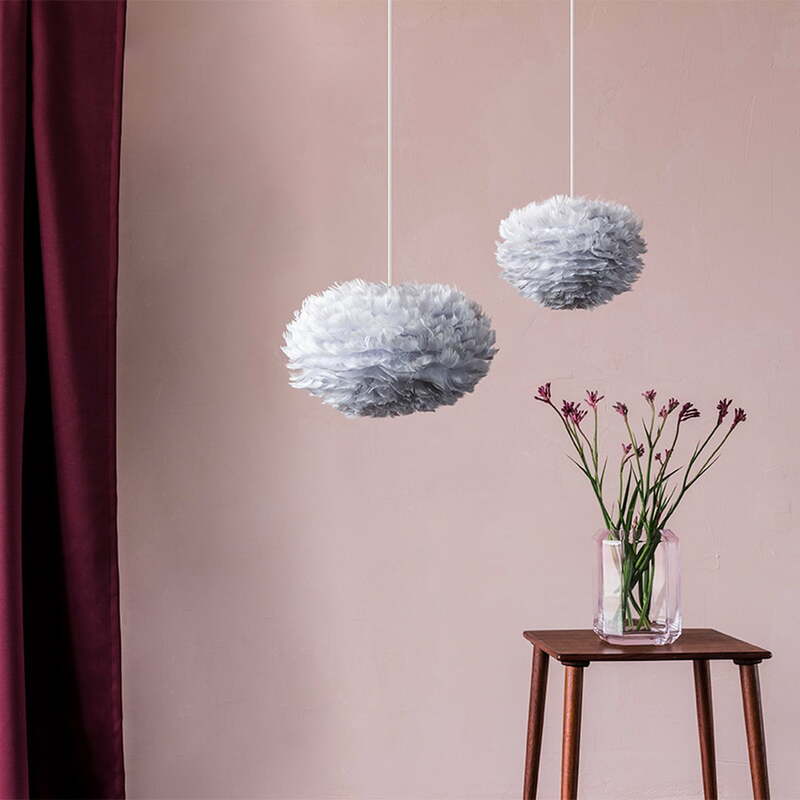 Each single feather is carefully put on the light grey Umage Eos pendant lamp by hand. Muted by the feathers, the Eos light shines with warm, indirect light. This makes the feathered lamp particularly good for living and sleeping areas - in such areas the Umage lamp creates a cosy and atmospheric ambience. 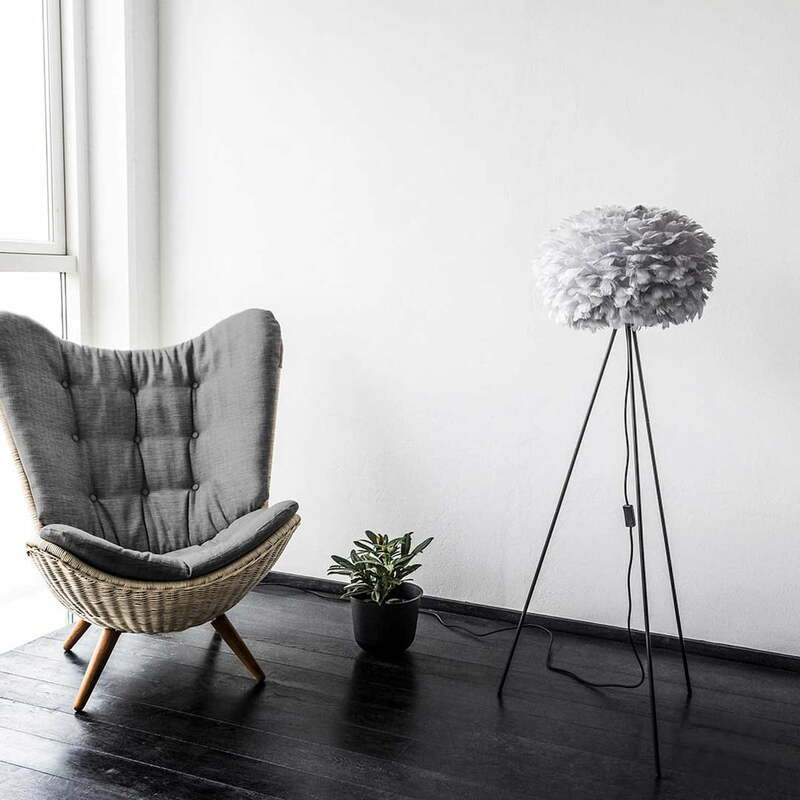 Eos embodies all the principles which Danish manufacturer Umage stands for: made from real feathers, the pendant lamp is a poster for sustainable production. The lamp exudes romantic lightness, seeming to almost float by itself. You clean Eos in an unusual way: dust and light stains should be gently blown off with a hairdryer. The Umage Eos pendant lamp comes without cable, socket or lightbulb as standard. A Umage cable set with E27 socket (max. 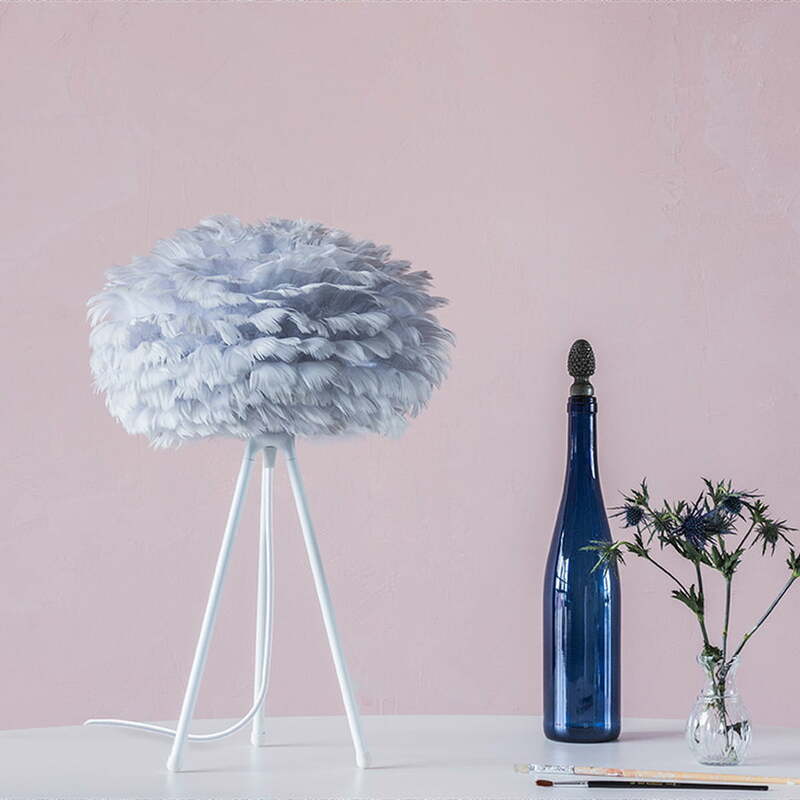 60 watts) and canopy are available optionally.You can optionally transform the Eos lamp into a table or floor lamp with a matching frame.The Eos by Umage is also available in other colours. Lamp socket, cable and lamp not included! 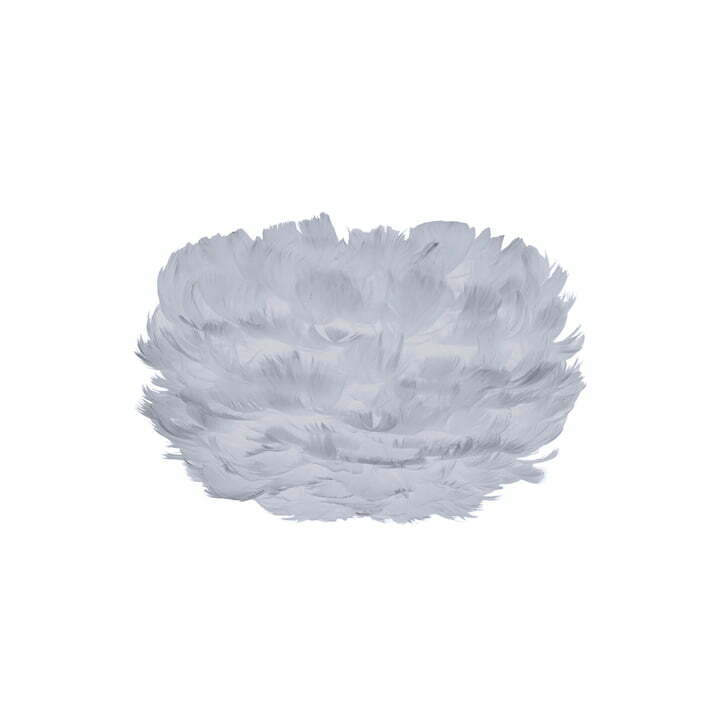 Isolated product image of the mini lamp shade out of feathers in light grey. 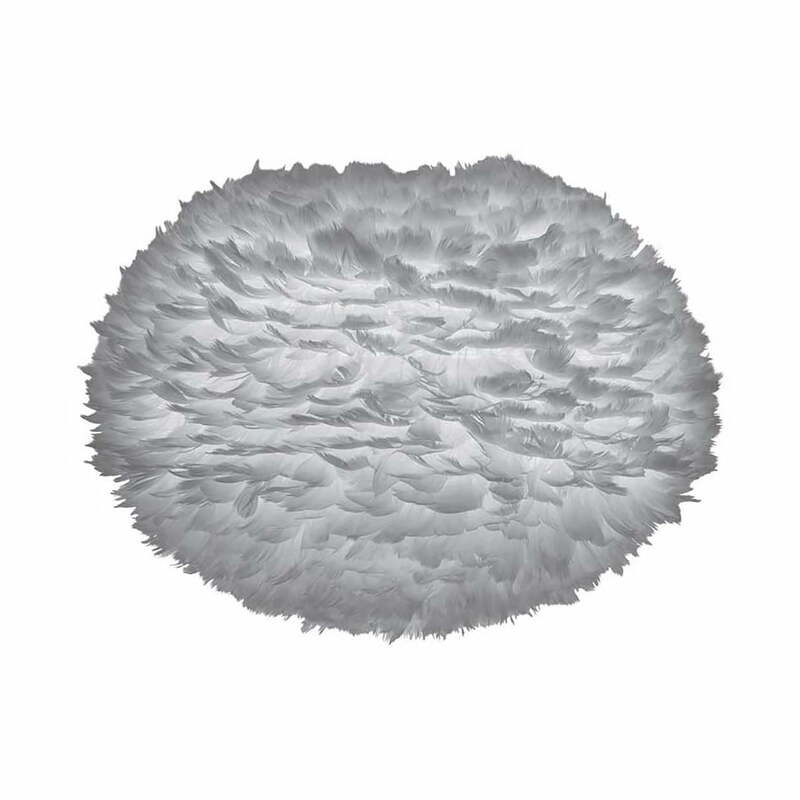 A light feather shade for the pendant light and floor lamp in small micro size. Product image of the canopy EOS X-large with bird feathers by the manufacturer Umage. The extra large, light grey lamp shade is supplied without cable and socket. 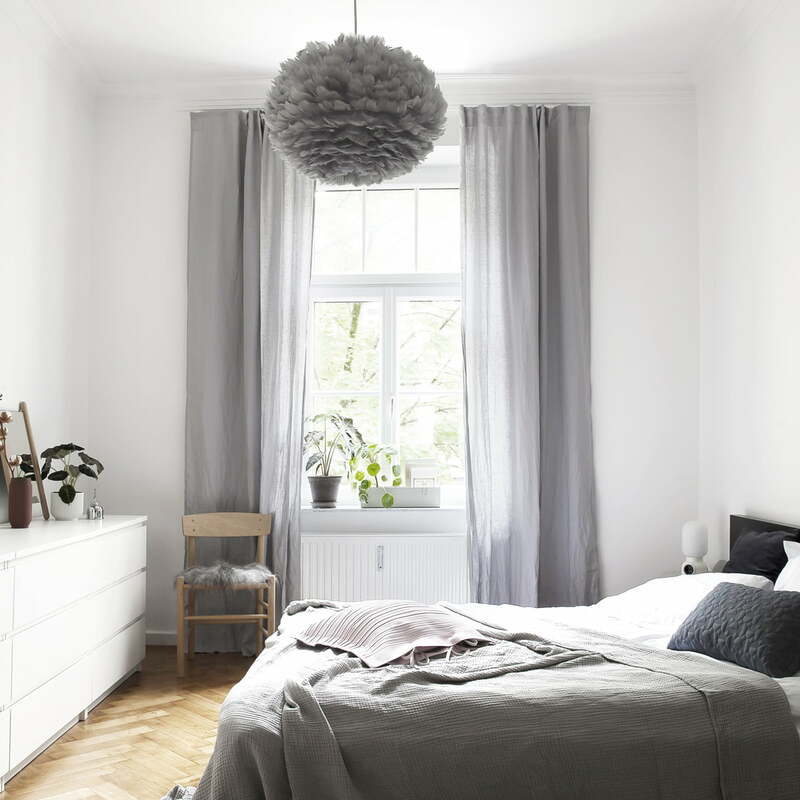 Each bedroom shines with casual design with the beautiful cream EOS lamps of Umage: Installed above the bed with the canopies in XL, L and on the bedside table lamp with the tripod. 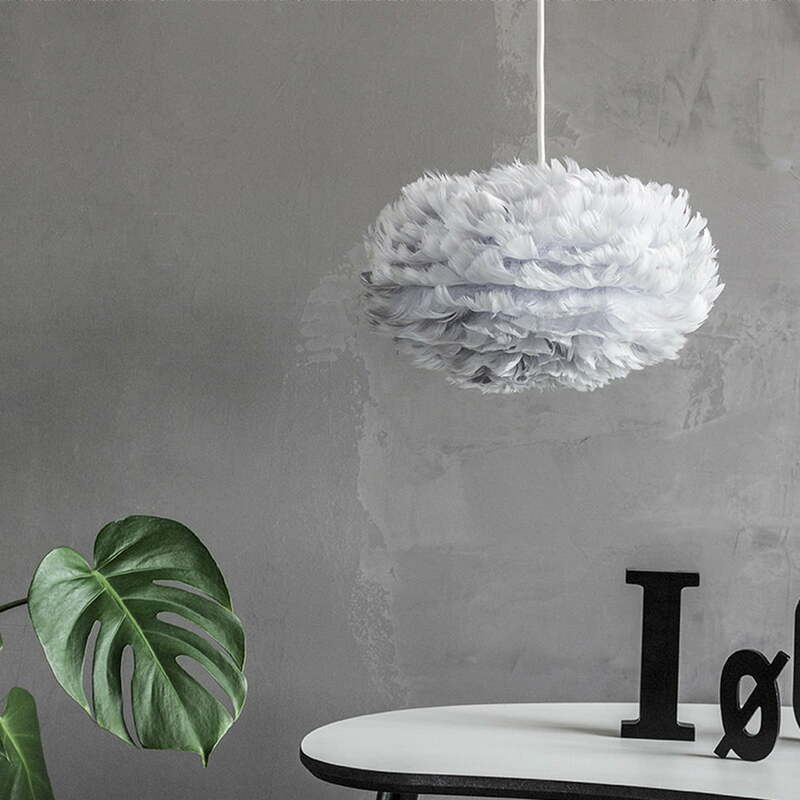 made from real feathers, the Eos pendant is emblematic of sustainable production. 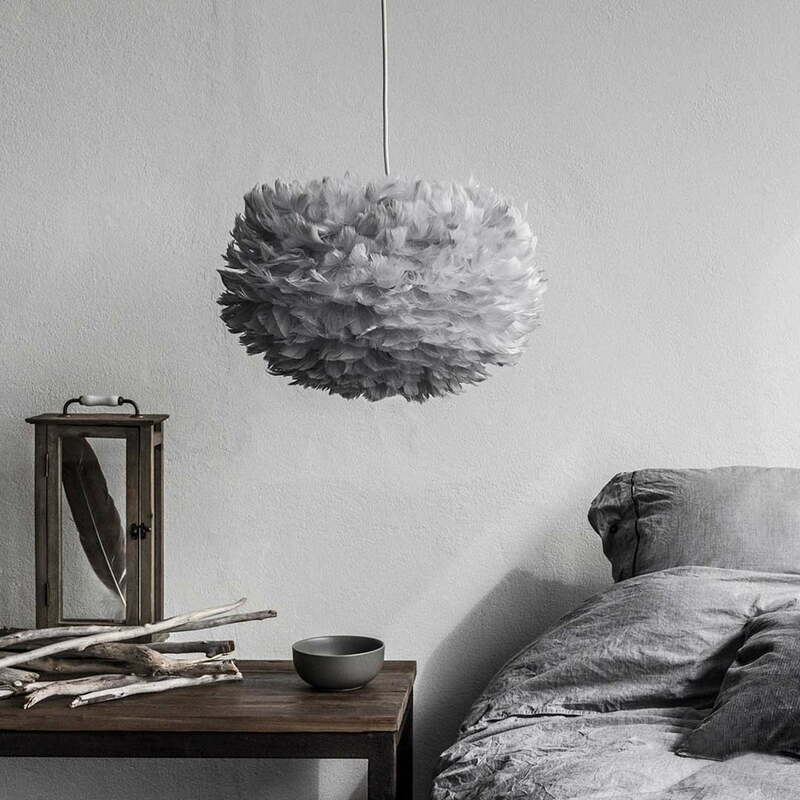 The lampshade radiates a romantic lightness, almost appearing as if floating in the air.